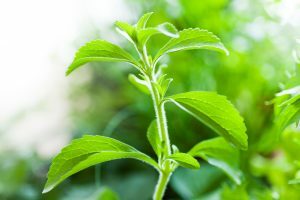 Home » Insights » Stevia vs Sucralose – What’s the difference? The global department of agriculture estimates that Americans have added more sugar to their diet every year since 1970 up until 2000. When daily sugar intake dropped, the market for sugar-like extracts increased. The sugar substitute market was estimated to be worth $13.26 billion in 2015, projected to reach $16.5 billion by 2020. Only 18% of US adults used low or no-calorie sweeteners in 2000. Now, however, 24% of adults and 12% of children use sugar substitutes according to a review in the American Journal of Clinical Nutrition. Sucralose is a zero-calorie artificial sweetener that is made from sugar in a multi-step chemical process in which 3 hydrogen-oxygen groups are replaced with chlorine atoms. 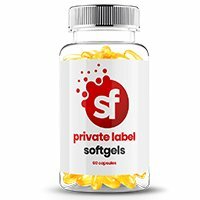 Sucralose was discovered in 1976 when a scientist misheard instruction about testing a substance, so instead, he tasted it and quickly realised it was highly sweet. Sucralose may still raise blood sugar and insulin levels in people who do not consume artificial sweeteners regularly but will not affect those that use an artificial sweetener regularly. When sucralose was first made available to the public, it was originally marketed as a natural alternative to sugar. 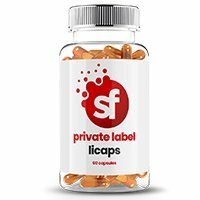 However as it is derived from sugar, the process in which it is turned into a sweetener 600 times the sweetness of sugar is less favoured to real natural alternatives. Within the food supplement industry, sucralose is still used within many powder supplements as a way of sweetening and increasing the flavour of various products. Stevia is often approached in the opposite effect to sucralose, in that is it praised for what it doesn’t do – It doesn’t add calories. It also doesn’t contain artificial sweetener at all, as it is derived from plants. The stevia plant is part of the Asteraceae family, related to the common daisy in the UK. Stevia is often found in New Mexico, Arizona and Texas, but the most commonly used species grows in Paraguay and Brazil where people have used the leaves to sweeten food for hundreds of years. Today, Stevia is a huge part of the sugar substitute market. According to the FDA, high-purity steviol glycosides (an extract of the stevia plant) is considered generally safe for use in food. Stevia has no calories and has 200 times sweeter than sugar in the same concentration. It is also mentioned within research reports that stevia may also have extra health benefits. 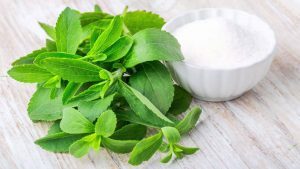 According to a 2017 article in the Journal of Medicinal Food, Stevia has the potential for treating endocrine diseases, such as obesity, diabetes, and hypertension, but more research is needed on the subject. Which is best for a food supplement? According to the Mayo Clinic, neither of the two should be consumed in excess. However, they are extremely useful for overcoming a craving for sugar. Stevia should be considered the more natural option for those looking for a healthier inclusion in food supplements.